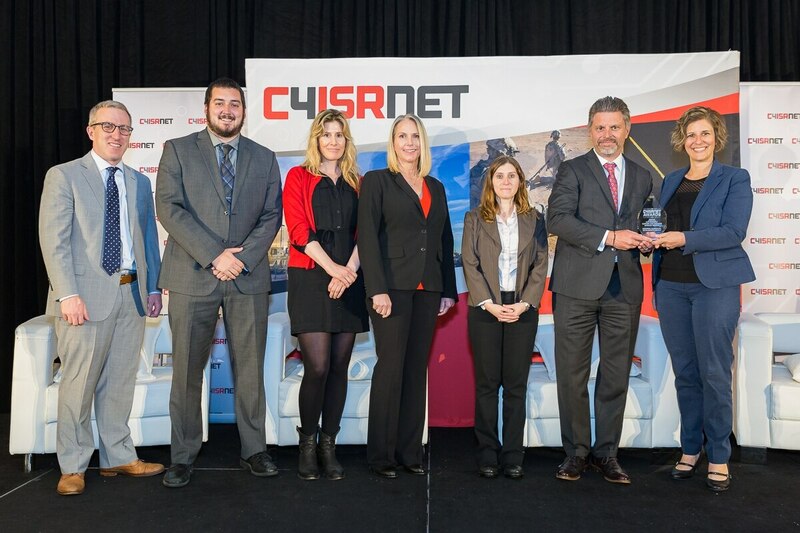 Members of the National Geospatial-Intelligence Agency's disaster branch, which won the C4ISRNET GEOINT award, accepting at the 17th annual C4ISRNET conference. 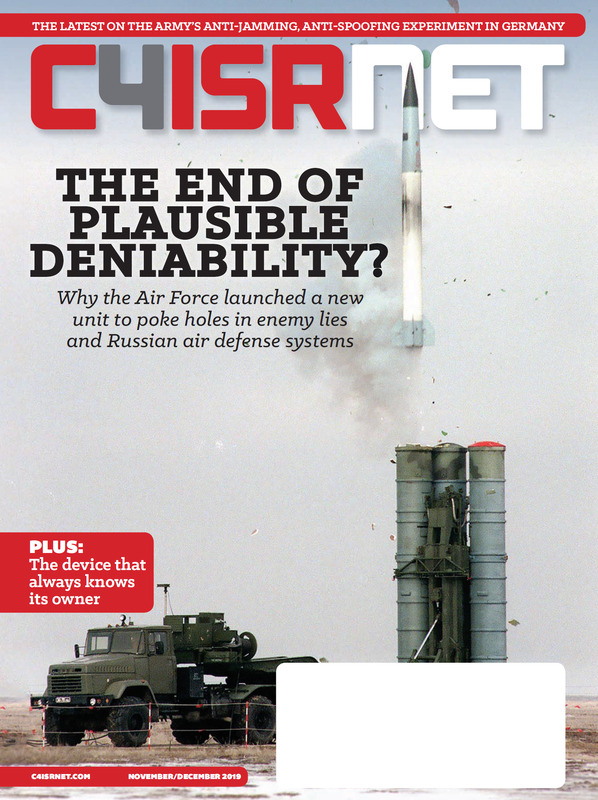 C4ISRNET was proud to award defense leaders of innovation and technological development within four distinct categories during the 17th annual C4ISRNET conference. The C4ISRNET GEOINT award was presented to the National Geospatial-Intelligence Agency’s domestic support and disaster analysis branch. Following disastrous weather in the United States and the Caribbean, this NGA branch made imagery and mapping data publicly available, provided evacuation route maps and produced damage assessments as part of the recovery effort. As a result, the team highlighted destroyed properties, and identified impassable roads and bridges. This material was used to assist emergency response officials. The team included Norman Aiman, Danielle Brant, Grant Eaton, Michelle Nichols, and Christina Roy. The awards other categories include Cyber, Software Management, and Unmanned.